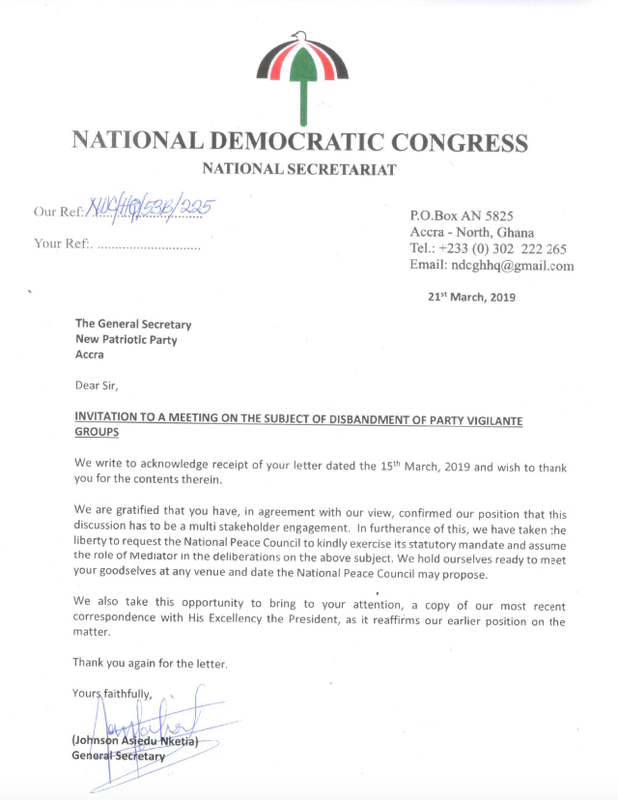 The opposition National Democratic Congress (NDC) has asked the National Peace Council to select a venue for the dialogue between them and the New Patriotic Party (NPP) on how to disband their vigilante groups. This was contained in a response by the NDC after NPP officially wrote to them to dialogue over the disbandment of vigilante groups. 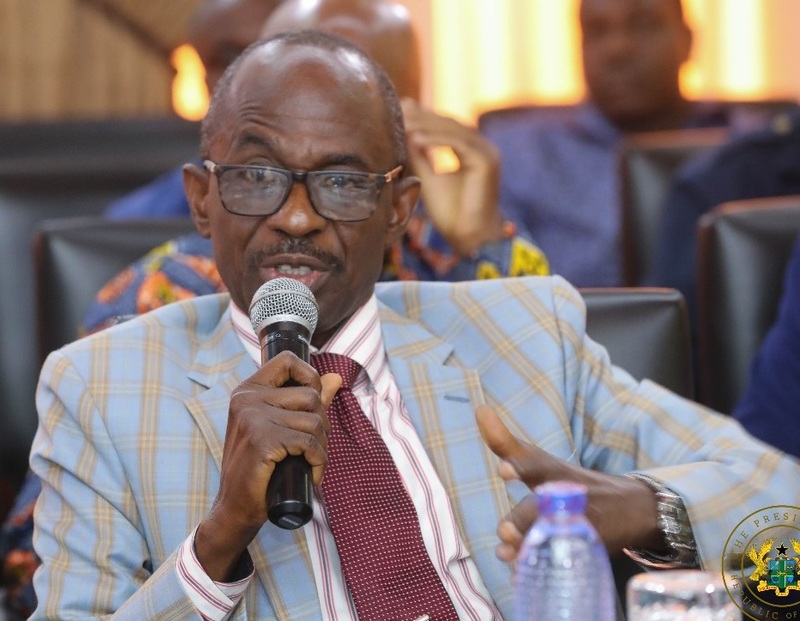 A response signed by General Secretary of the NDC, Johnson Asiedu Nketia said “we are gratified that you have, in agreement with our view, confirmed our position that this discussion has to be a multi-stakeholder engagement.